This week (July 13th – 16th) I had the wonderful experience of getting away with my girlfriend since 6th grade to celebrate our 50th birthday’s (belated) in Traverse City, Michigan. 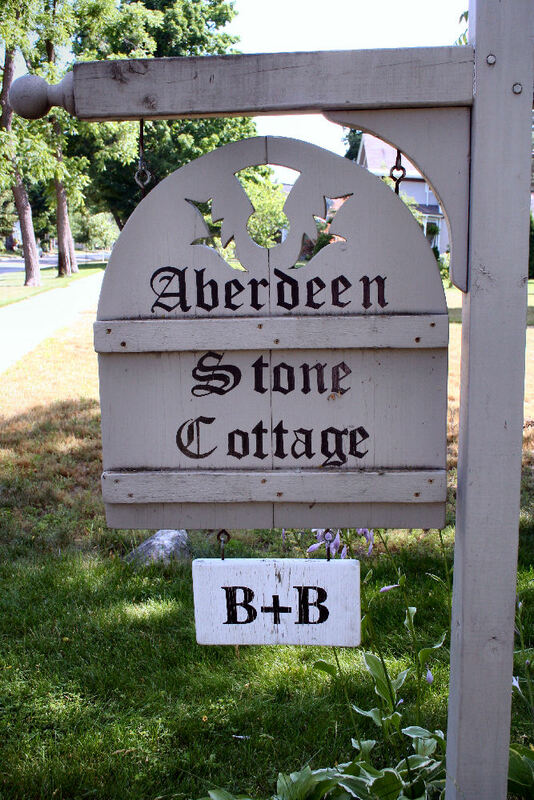 Merilee had booked our lovely room at this B & B back in December and selected it because of the Scottish motif it was decorated in. It was such a charming place to rest and take in the area. The yard had many cute little accents, plantings, and statues throughout. It was a pleasure wandering around outside. 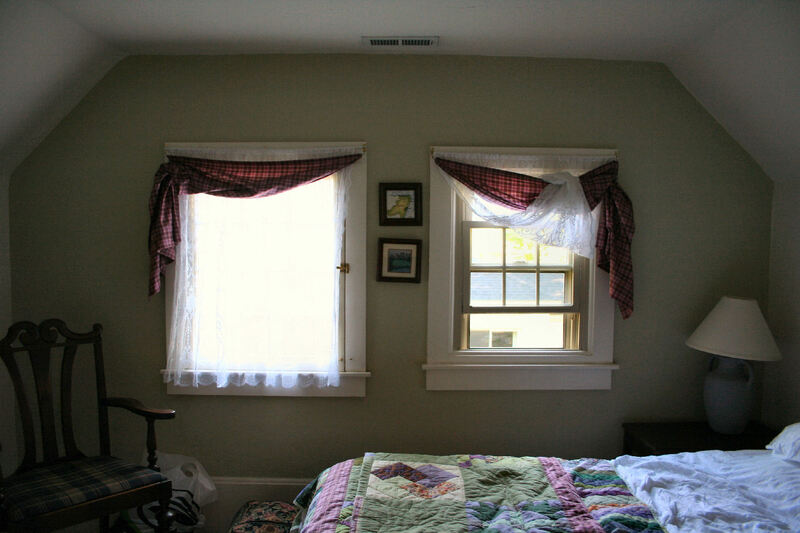 We stayed in the “Heather room” which was filled with “quilts” that the owner’s Mom had made. 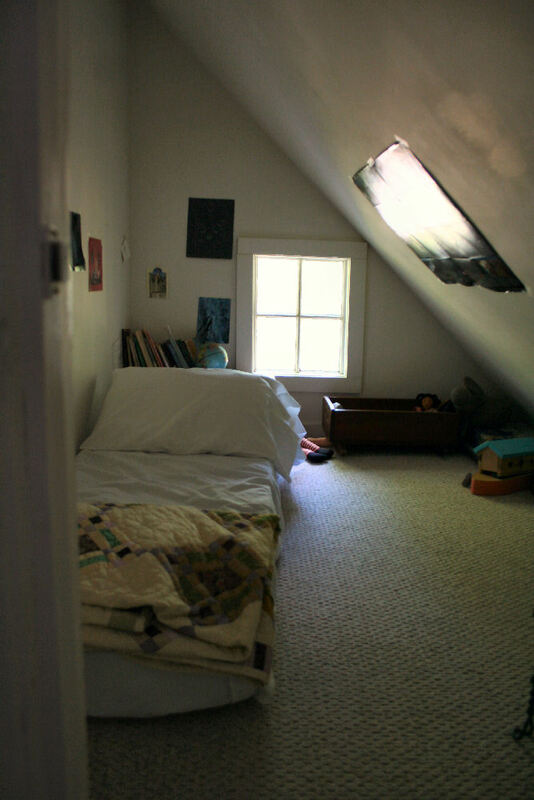 A cute little room was also off our main room – perfect for any child (or short person) to hide in. One of the neighbors homes had this amazing vignette on her front porch. We stopped to talk to her about it, she “rock stacks”…if you Google it you can see all sorts of forms and their are videos on how to do this as well. What intrigued me was the chicken wire is actually filled with unpolished Petoskey stones — quite collectible and only found in Michigan. 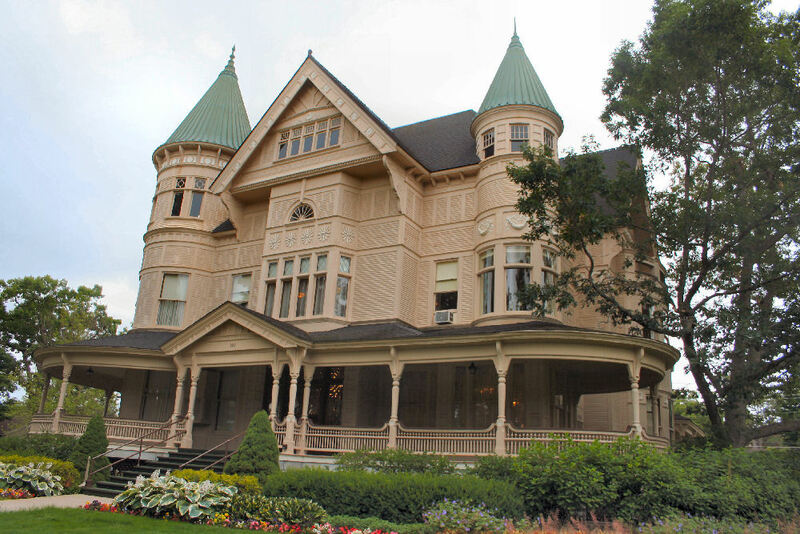 This gorgeous funeral home is located in Traverse City and was built by lumber baron Perry Hannah. The Queen Anne is over 43,000 square feet. 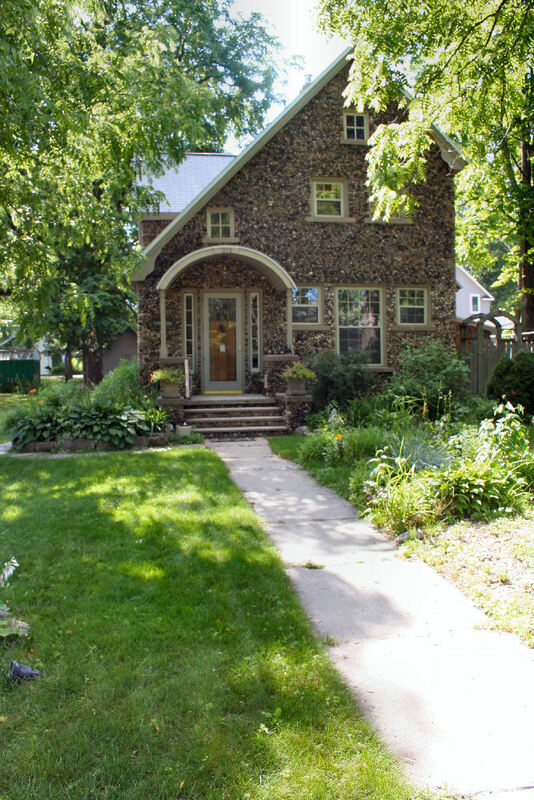 I have never seen a home so gorgeous. We asked about getting a tour — but they need to be scheduled in advance. 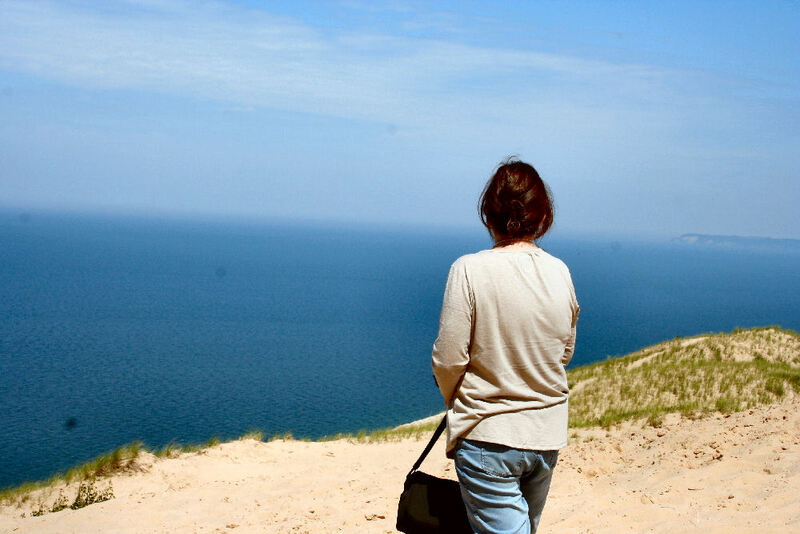 One of our main reasons in going was so I could visit Sleeping Bear Dunes and check it off my bucket list. I have been within a mile or two of this place before during my previous lighthouse adventures, but was not able to stop and see it. This National Park is amazing and goes for miles and miles and miles. Standing and looking over the dunes out on to Lake Michigan was surreal. I still am pinching myself wondering if it was real! A bestie selfie of this majestic place! 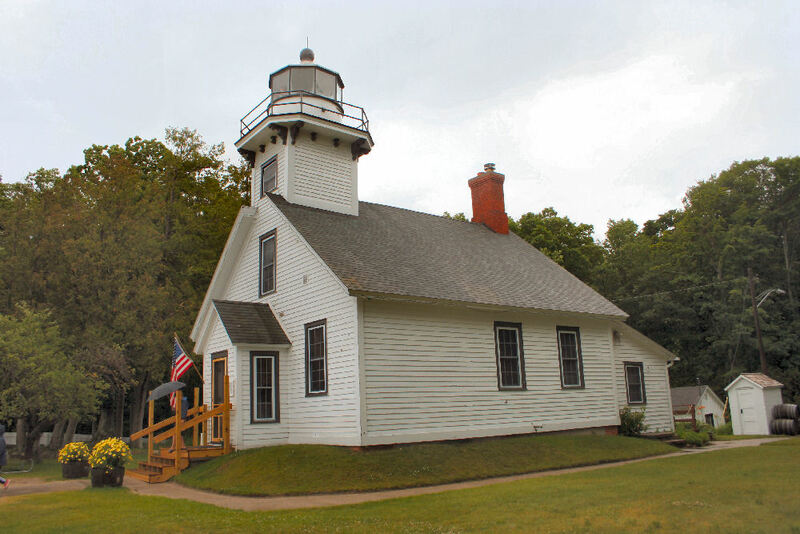 After visiting the dunes, we drove up to Northport, Michigan to visit the Grand Traverse Lighthouse. 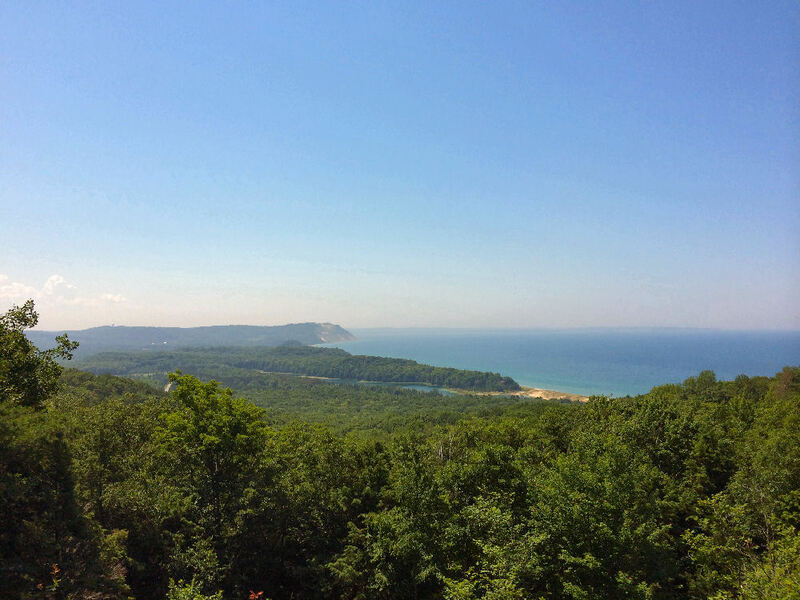 A gorgeous drive along the Leelanau peninsula with beautiful bodies of water, quaint villages, summer homes and scenery to take in. 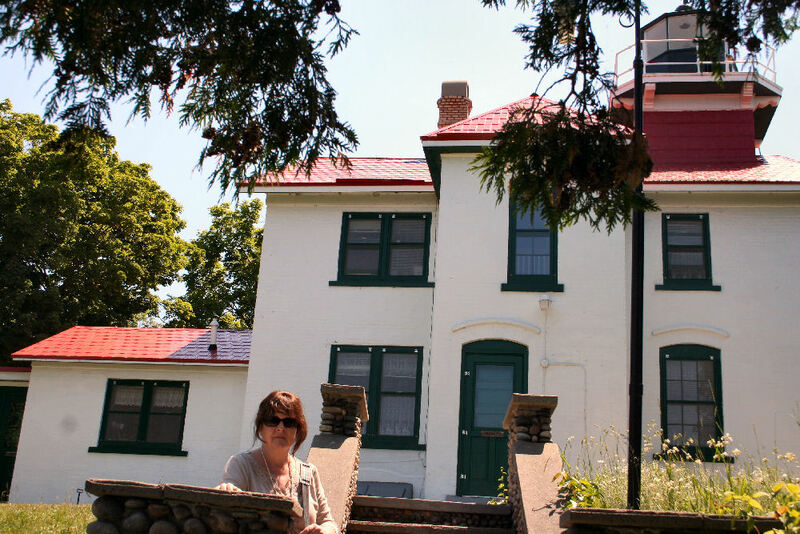 On day #2, we drove up Old Mission in search of Merilee’s Grandfather’s cottage home. We were pleased to find it, still standing along the West Bay and it brought back many happy memories. We journeyed further north to Old Mission lighthouse on this rainy day and took photos under our umbrellas of the lighthouse. It has now been opened to the public as well. Just a few days away – not nearly enough time and home again! But the sweet memories of being with my bestie and taking in the beautiful sites around the area are priceless! What a wonderful time you had with your BFF!!! Now that is the way to celebrate a 50th or any occasion for that matter! How fun for you both to share such a wonderful time and great memory! It looks so beautiful! Hugs! Looks like a wonderful trip. The rock stacks are very interesting. I’m very aware of Petosky stones, my younger son was very much a rock collector when he was young and had one. Looks like you had a wonderful time with your friend!!! How fun for you to share some great memories. So glad you enjoyed the beautiful area. Thanks for sharing the unique photos. 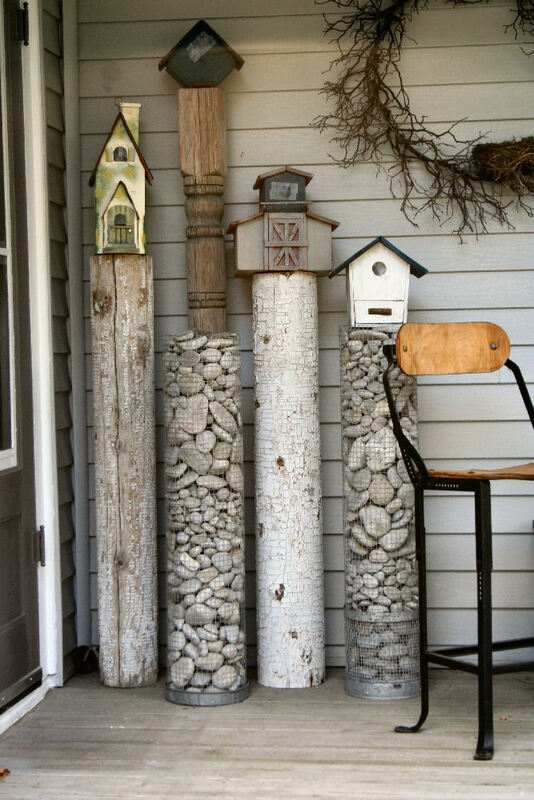 Hi my name is Monica and I remember you very well as I’m the person with the porch and rock stacks as pictured. Tickled pink to see my home on Pinterest and shared story about us chatting and why you were here in Traverse City. So happy to hear of all the places you and your friend enjoyed.